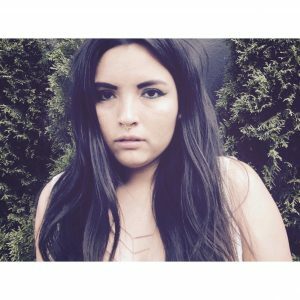 NIMKISH is a singer/songwriter born in the Okanagan Valley of British Columbia, Canada. She is from the Kwakwaka’wakw and Cree nations of Canada. The name NIMKISH originates from the Nimpkish Valley of Vancouver Island. She is now based out of Vancouver, British Columbia where she performs her original music live around the city and is currently in the process of recording her debut EP. Her influences come from a variety of genres but her original music is expected to be a smooth blend of Pop, and R&B. NIMKISH has written poetry since a young age but started music back in 2013 when she started writing songs. She now strives to be an entertainer that people can look up to. NIMKISH wants to be able to write honest, and relatable songs that resonate with the listener. She writes about personal experience and trials of her own life. “I’ve always loved singing, in the shower, in the hallways, at work- and now that I am into writing my own songs and performing them for people I don’t think I’ll ever stop. It’s my passion, and I’m addicted.” Says NIMKISH.